How would you like to spend $700 on the most amazing smartphone, one which truly replaces your digital camera and makes iPhone look like horse and buggy compared to your Porsche. The handset has style and finesse, and is teched-out to the nines. There is but one little problem: The software is outdated -- abandoned -- before the phone's release. The hardware is amazing but the operating system is dead on arrival. 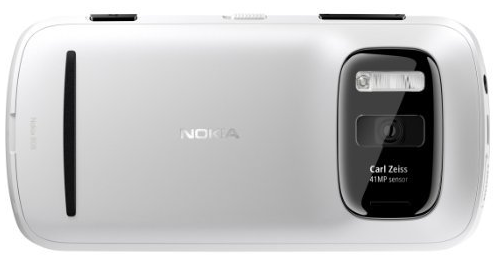 Nokia 808 PureView is the latest smartphone to come to the United States from the Finnish manufacturer. Nokia's USA website lists the 808 PureView as "coming soon", but Amazon will sell you one right now, for $699.99. There the lone reviewer, Tor Slettnes, rates five stars, writing: "This phone is nothing short of a dream come true for any remaining Symbian fans -- all 3 of us!" There you have it. Everything that's right about the mobile shows what's wrong with Nokia. By many measures, 808 PureView is Nokia's greatest mobile ever. Stand-out feature is the camera -- a 41MP shooter that kneels all smartphone cameras to date. It’s so good that Nokia wants to use the technology in future Windows Phone devices. The camera really is amazing. In a recent blind photo quality test conducted by GSM Arena, the 808 PureView bested an Olympus PEN E-PL2 by more than 2 to 1 on votes. Some other features are mediocre, but the big problem is Nokia Belle, which is the successor of Symbian. Even though this operating system should be addressed to low-end devices, Nokia made a very bold move by powering flagship device 808 PureView with none other than Belle. Here is where things get tricky, since all development has shifted to Windows Phone from Symbian. Instead of focusing their best efforts into launching another WP flagship device, Nokia invested in a product that runs a slowly dying operating system. I can only assume that only die-hard Nokia fans will want to buy the phone -- even photo enthusiasts for whom the camera would be a big selling point. There is great marketing potential behind PureView, but Nokia uses it in a phone that cannot succeed because Belle is hell -- cast aside into the dark recesses of abandoned tech. There are quite a few people who would argue that Nokia shouldn’t have chosen Windows Phone as a platform. There's no chance for this generation Lumias. The right move would be to use the PureView technology in the upcoming Windows Phone 8 smartphones and stop wasting precious resources on side projects; they've announced that in the future Windows Phone 8 will take advantage of PureView. But for now Nokia's commitment begins and ends with an obsolete platform. Nokia is the main player in the Windows Phone market, being the only large manufacturer besides Apple (not that it will ever happen) that hasn’t (yet) released any Android device. The Finnish corporation competes with Samsung for first place in worldwide phone sales, so their decision to support a single major ecosystem they don't completely control can be viewed as quite a risk. Nokia has bet the company's future on its Microsoft partnership, which so far is proving to be quite painful -- falling market share, profit losses and layoffs among the hurt. Stephen Elop, who was a Microsoft divisional president before becoming Nokia CEO, has stated that there is "no Plan B" in case that the partnership between the companies fails to produce the desired results. Currently the handset manufacturer faces difficult times, with the Finnish Government refusing to provide any support in order to help the corporation recover after the disastrous results. It should come as no surprise to anyone that Nokia is really playing its only card by joining Microsoft in hope that there will be a turnaround in results. Elop can really be proud of his achievements. Since he stepped in as chief executive, Nokia bonds have been downgraded to junk by Ratings Agency Moody’s and the Finnish Government refuses to provide any help. Former Apple executive, founder of BeOS and former PalmSource chairman, Jean-Louis Gassée believes that Nokia should let Elop go. Stephen Elop clearly has a fan in Mr. Gassée. The Windows Phone transition is proving to be difficult enough. Why is Nokia investing so much time in Belle? Perhaps product managers decided 808 PureView development had gone too far before the Microsoft partnership started to pull out. In 2012, the only viable platform choices are Android, iOS and Windows Phone. The rest of the platforms are dying in anonymity or are too low-end to be even brought into discussion. No matter how much effort Nokia puts into its home-grown OS there isn’t any chance for recovery and any effort is futile. Releasing 808 PureView sends the wrong kind of message to everyone, particularly to people buying the phone only to later find the platform is obsolete. Isn't it bad enough that none of the Lumias can be upgraded to Windows Phone 8? If Nokia wants to fail, it's doing the best possible job at it.